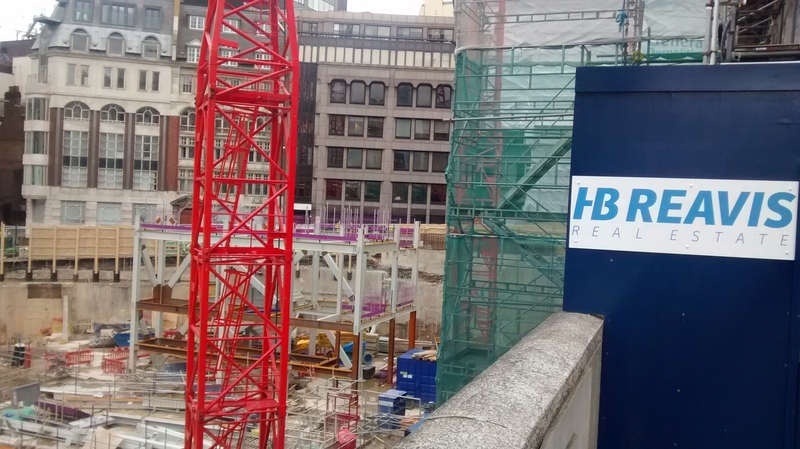 This Metropolis blog breaks new ground with an attempt to give clients an insight into the ‘work in progress’ on forthcoming office requirements in the London West End market. In the spirit of those TV autumn trailers, we set out below a flavour of some of the stories we hope to bring Metropolis clients over the next two months. 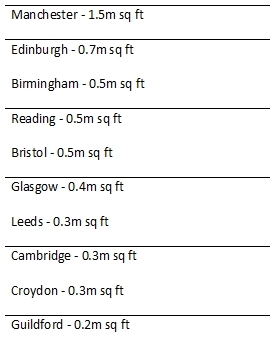 Outstanding, unsatisfied, named office requirements in central London are now estimated by Metropolis to be over 10m sq ft, which is the highest figure since the recession. This can only be an approximate figure as ‘requirements’ cover all types of searches from urgent ones involving tenants in buildings where the lease expires ahead of demolition to half-hearted searches by occupiers who are 90% sure that they will renew the lease, but want to compare the market in order to put some pressure on the existing landlord. Many of the larger requirements (over 20,000 sq ft) are in advance of lease expiries in 2017-19. However, smaller searches below 10,000 sq ft, are often launched less than 18 months before lease expiry. In many cases the occupier is only looking because it needs more space, has a lease end, or it is affected by redevelopment. The costs of relocation tend to limit the number of ‘sideways moves’ involving a company relocating from one building to another, whilst keeping its occupancy size the same. 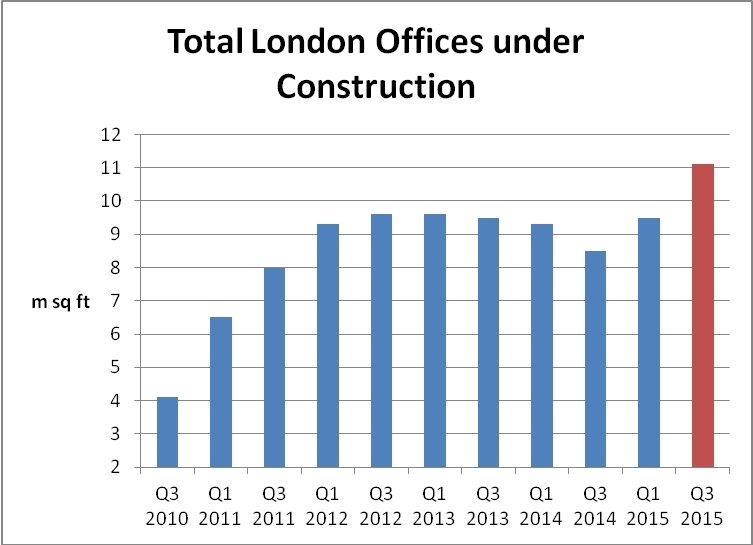 Office relocation activity in London’s West End has been a little muted so far in 2015. 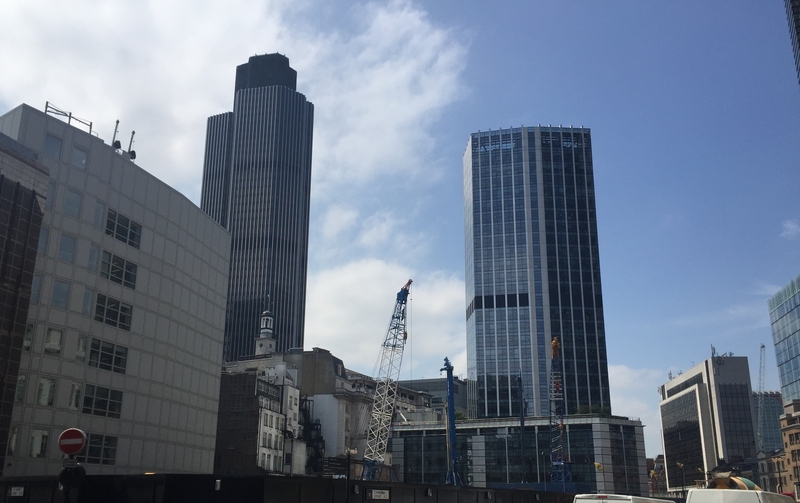 Figures compiled by Metropolis show Central London take-up in the 8 months to August was 7.6m sq ft, of which only 2m sq ft was to office space in the West End. Some 140,000 sq ft has been pre-let, 450,000 sq ft is grade A newly completed space, with the remainder secondhand. Some of the larger deals have included Marshall Wace Asset Management’s 43,000 sq ft pre-let of 131 Sloane Street in Knightsbridge; Richemont’s 38,000 sq ft deal at Walmer House on Regents Street and just last month King.com’s letting of 65,000 sq ft at the recently-completed Ampersand Building on Oxford Street. Facebook is also set to confirm its 217,000 sq ft pre-letting of the under construction Rathbone Square in London, W1, which will be the largest West End letting this year. We are currently researching a number of promising West End leads which look likely to result in 40 named requirements and potentially 1.6m sq ft of office deals. The majority of office requirements are for a move in 2016 (29), with the remainder lining up moves for 2017 or 2018. Some 23 occupiers are citing expansion as the trigger for their move, while 16 have lease events and the remainder are consolidating fragmented buildings or downsizing. In terms of the sector, as the graph below shows, it is the media sector which dominates, followed by IT/e-commerce and financial services, including hedge funds and asset managers. The business services sector also remains important with a steady stream of new requirements from serviced office operators. Around a quarter of companies are looking in the core areas of Mayfair and St James’s, with a further quarter searching in Victoria. A further 25% are searching Soho and north of Oxford Street up to Kings Cross and Euston with the remainder looking in fringe areas such as Camden or Hammersmith. By size, around half of the 40 requirements are below 20,000 sq ft, with a third between 20,000 and 50,000 sq ft and the remaining five searches are over 100,000 sq ft. 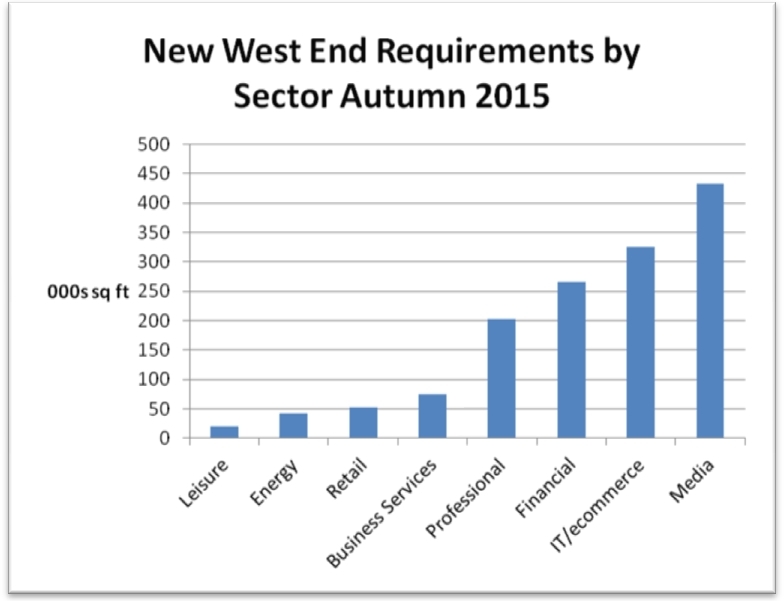 There is a healthy pipeline of new requirements being launched in London’s West End this autumn. As would be expected, media companies, hedge funds and asset managers are very active, but these have been joined by some of the large e-commerce and social network companies and business service providers to increase the competition for space. Metropolis is working to research the details of these requirements and will be publishing these online for clients shortly. 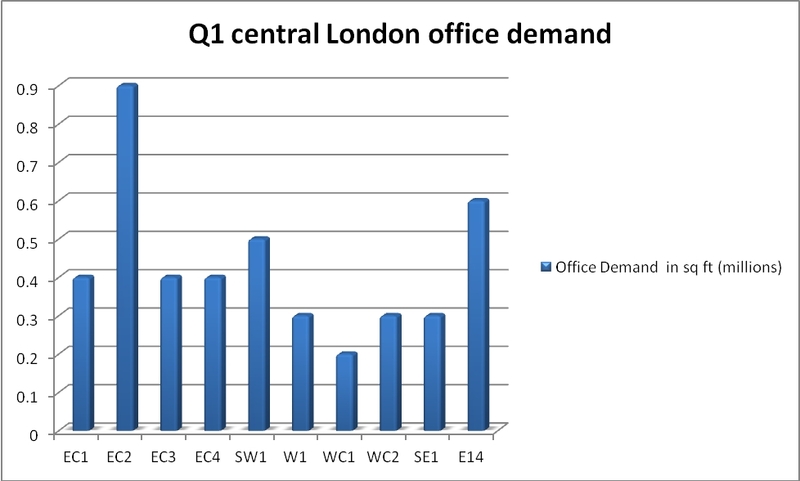 Our team here at Metropolis researched over 370 UK company office requirements in Q3 2014, representing 9.5m sq ft of office demand. 6m sq ft of this demand was for space in Greater London and 4.9m sq ft was demand for space in central London. Demand for City of London space continued to be strong during Q3, with 2.4m sq ft required in over 60 planned relocations. Three of the top five largest requirements in the City were searches by technology and media companies. 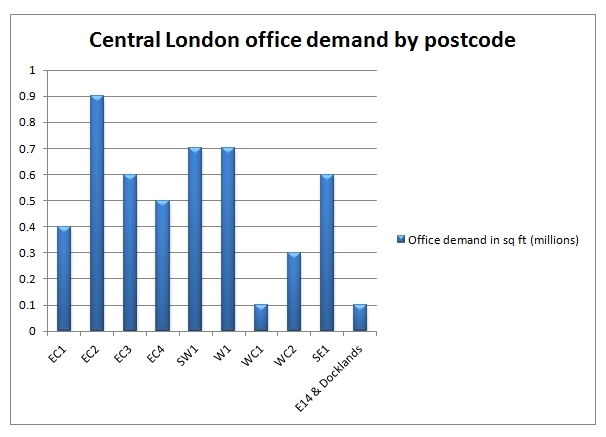 EC2 demand made up 37.5% of the total space required. 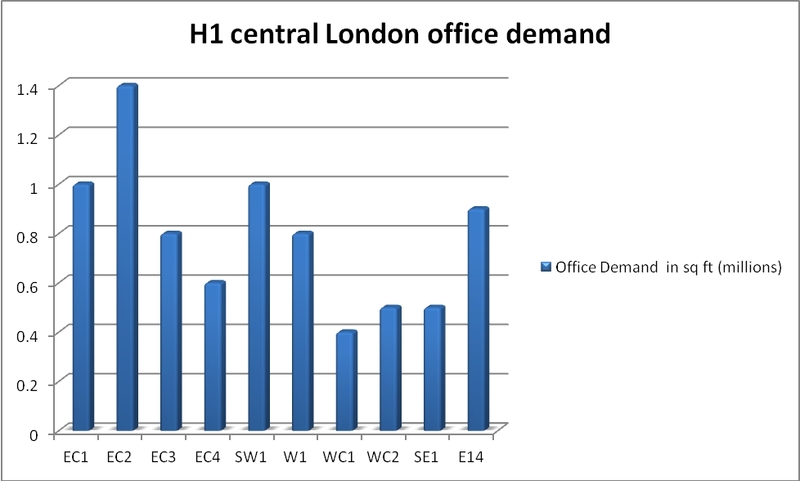 1.4m sq ft of demand was identified in the West End of London, split equally between requirements for space in London SW1 and W1. Again three of the top five largest requirements were searches by technology and media companies, with two significant searches by financial service sector companies identified. Mid Town office demand was largely focused on London WC2, with 100,000 sq ft of the 300,000 sq ft required in this postcode attributed to media sector requirements. 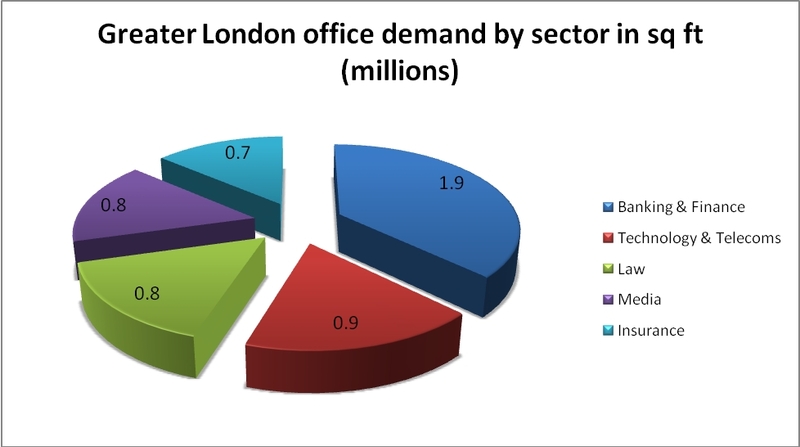 Just over 0.6m sq ft of demand was researched in London’s Southbank, 200,000 sq ft of which was triggered by an energy company’s requirement for additional space in the area. 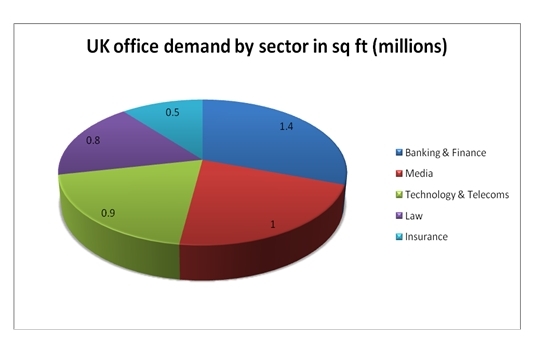 Similar to H1 results, the Banking & Finance sector is leading the demand for new UK offices, with 1.4m sq ft of requirements in the UK, just over 0.4m sq ft of which is sought in the City of London. Requirements from media sector companies represented just over 1m sq ft of demand, a 300,000 sq ft requirement in London W1 significantly boosting this figure. Technology & Telecom sector requirements came a close third with 0.9m sq ft of demand. 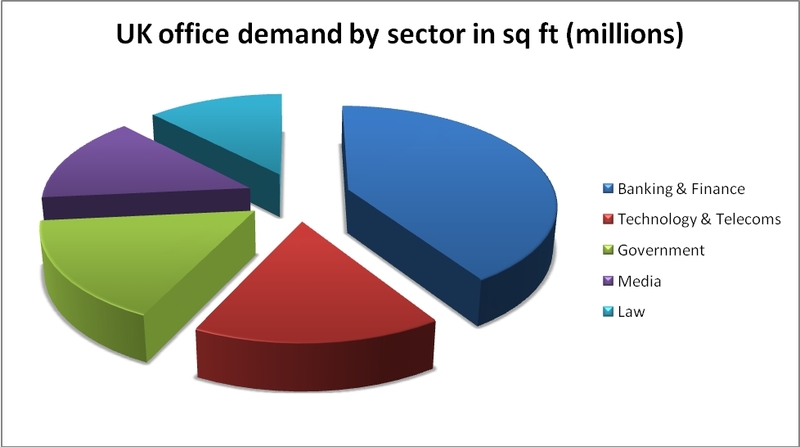 The law sector accounted for 0.8m sq ft of demand and the insurance sector 0.5m sq ft.